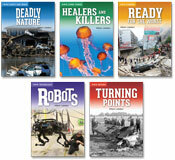 Presenting stories for struggling readers in grades 3-6 and featuring superhero, Superman! 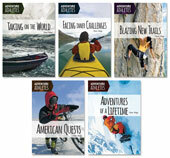 Features 20 fast-paced biographies (4 stories per book) of men and women who faced great challenges of endurance and spirit. Shadow Demons are attacking. 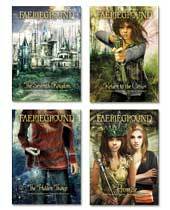 Can the teenage Blackwings stop them? 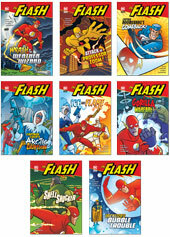 Presenting stories for struggling readers in grades 3-6 and featuring superhero, The Flash! 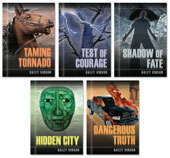 From animated toys to powerful witches to creepy aliens, the town of Ravens Pass isn't for the faint of heart! 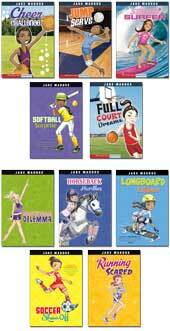 These best-selling sports stories by Jake Maddox are a hit with boys and girls alike! 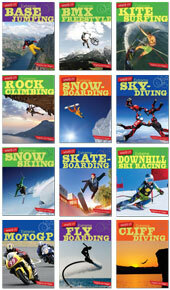 Pumped-up, easy-to-read stories with an emphasis on speed, skill, and fair play. 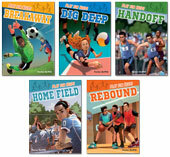 The boys and girls in these books face obstacles on the gridiron, the court, the ice, or the half-pipe, and meet mental and social challenges as well. Readers discover that an athlete's inner game, persistence, and courage are just as important as a steady hand or a chance for a goal. 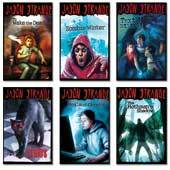 Four fun kids find themselves in the middle of a mystery on every school field trip they take! Visual and verbal clues are sprinkled throughout the story to help the reader solve the mystery before the kids do. Two friends, torn apart. Soli and Lucy argue, and then Lucy disappears, taken by the faeries who live in the forest near their homes. Can Soli save her friend, even if it means facing the biggest dangers she's ever experienced and going up against the Willow Queen? 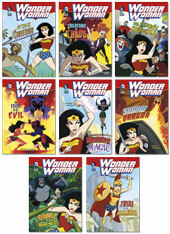 Presenting stories for struggling readers in grades 46 and featuring one of the greatest superheroes: Wonder Woman! 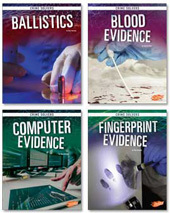 These full-color chapter books, with original art by DC Comics illustrators, will captivate young readers and give them glowing examples of bravery, loyalty, and true heroism. 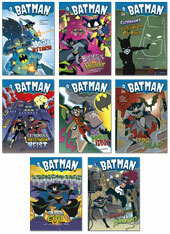 Presenting stories for struggling readers in grades 46 and featuring one of the greatest superheroes: Batman! 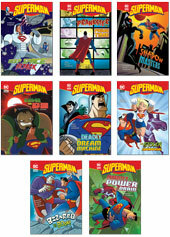 These full-color chapter books, with original art by DC Comics illustrators, will captivate young readers and give them glowing examples of bravery, loyalty, and true heroism. 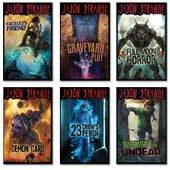 Let Jason take you into a world of spine-tingling suspense: a town full of zombies, a creaky old movie theater, shadows in the night on a camping trip, a boarded-up video club with no way out. 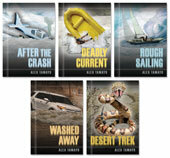 These stories will make you shiver!